NEW YORK – A consortium of leading financial institutions and investors today announced a new partnership under the Catalytic Finance Initiative (CFI) to direct $8 billion in total commitments toward high-impact sustainable investments. Partners joining the CFI include AllianceBernstein (AB); Babson Capital Management LLC, a subsidiary of Massachusetts Mutual Life Insurance Company (MassMutual); Crédit Agricole CIB; European Investment Bank (EIB); HSBC Group; International Finance Corporation (IFC), a member of the World Bank Group; and Mirova, a subsidiary of Natixis Group, all of which have pledged capital and expertise to develop and advance innovative financing structures for investments in clean energy and other sustainability focused projects. In addition, the Aligned Intermediary, representing a group of long-term institutional investors, will collaborate on specific investment opportunities with members of the partnership. This announcement follows last year’s ratification of the United Nations Sustainable Development Goals (SDG) and the historic climate agreement in Paris. It aims to promote the SDG objectives, including acting on climate change and advancing access to clean energy and water. Babson Capital Management LLC is one of the world’s leading asset management firms, with approximately $223 billion in assets under management as of December 31, 2015. Through proprietary research, analysis and a focus on investment fundamentals, the firm and its global affiliates develop products and strategies that leverage its broad expertise in global fixed income, structured products, middle market finance, commercial real estate, alternatives and equities. A member of the MassMutual Financial Group, Babson maintains a strong global footprint with operations on four continents and clients in over 20 countries. MassMutual Financial Group is a marketing name for Massachusetts Mutual Life Insurance Company (MassMutual) and its affiliated companies and sales representatives. MassMutual is a leading mutual life insurance company that is run for the benefit of its members and participating policy owners. Learn more at www.babsoncapital.com and www.massmutual.com. Bank of America Merrill Lynch is the marketing name for the global banking and global markets businesses of Bank of America Corporation. Lending, derivatives, and other commercial banking activities are performed globally by banking affiliates of Bank of America Corporation, including Bank of America, N.A., member FDIC. Securities, strategic advisory, and other investment banking activities are performed globally by investment banking affiliates of Bank of America Corporation (“Investment Banking Affiliates”), including, in the United States, Merrill Lynch, Pierce, Fenner & Smith Incorporated, which is a registered broker-dealer and member of SIPC, and, in other jurisdictions, a locally registered entity. Merrill Lynch, Pierce, Fenner & Smith Incorporated and Merrill Lynch Professional Clearing Corp. are registered as futures commission merchants with the CFTC and are members of the NFA. Investment products offered by Investment Banking Affiliates: Are Not FDIC Insured * May Lose Value * Are Not Bank Guaranteed. • Debt Optimisation & Distribution. The Bank provides support to clients in large international markets through its network with a presence in major countries in Europe, America, Asia Pacific and the Middle East. The European Investment Bank (EIB) is the European Union's bank. They are the only bank owned by and representing the interests of the European Union Member States. The EIB works closely with other EU institutions to implement EU policy. As the largest multilateral borrower and lender by volume, the EIB provides finance and expertise for sound and sustainable investment projects which contribute to furthering EU policy objectives. More than 90% of activity is focused on Europe but also supports the EU's external and development policies. HSBC Holdings plc, the parent company of the HSBC Group, is headquartered in London. The Group serves customers worldwide from around 6,000 offices in 71 countries and territories in Asia, Europe, North and Latin America, and the Middle East and North Africa. With assets of US$2,410bn at 31 December 2015, HSBC is one of the world’s largest banking and financial services organisations. HSBC Global Banking & Markets is an international wholesale business serving major corporate, institutional and government clients. It has a broad international network with offices in more than 60 countries and territories, with strong expertise across developed and emerging economies. Global Banking & Markets has deep knowledge across a wide range of products and services including: financing; debt and equity capital markets; acquisition, project and export advisory and financing; foreign exchange, fixed income and equities; payments and cash management and securities services. Mirova, a subsidiary of Natixis Asset Management, S.A. (Natixis AM), is operated in the U.S. through Natixis Asset Management U.S., LLC (Natixis AM US). Natixis AM US is a US-based investment adviser, that is a wholly owned entity of Natixis AM. Natixis AM US utilizes the investment and research expertise of Mirova, which Natixis AM US then combines with its own expertise, and services from Natixis AM when providing advice to clients. 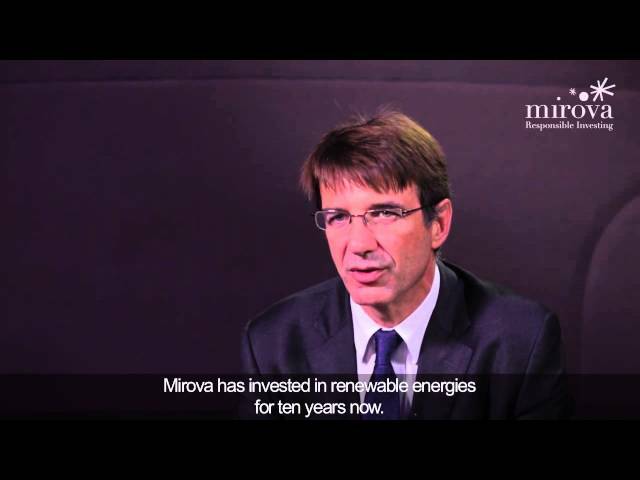 Mirova offers a global responsible investing approach involving Equities, Fixed Income, General and Renewable Energy Infrastructure, Impact Investing, and Voting and Engagement. It has €6.1 billion in assets under management and €42.9 billion in Voting and Engagement. Its team of circa 60 multidisciplinary experts includes specialists in thematic investment management, engineers, financial and environmental, social and governance analysts, project financing specialists and experts in solidarity finance.